On-premises solutions are in-house telephony and communications platforms that reside on a dedicated server maintained by Proton. This provides additional control and validation. Instead of subscribing to another service, we will bring in all the necessary hardware, and work closely with your provider to build an entire communication system for your dealership. A one-size fits all approach would just be too broad and generic, falling short of the unique needs each dealership will have. Depending on different factors, like the size of your dealership, the number of locations, the number of users, and more, your dealership will have to come to an independent conclusion on what the right solution might be. Enhanced control over the entire system. With all the hardware related to your network located in-house, your dealership gains complete and total control. This enhanced control allows for enhanced security as well — since everything is in-house the entire network can be protected by physical firewalls with our technicians acting as the guards. Potential cost savings by avoiding recurring costs from a subscription. When establishing an on-premises solution, your dealership might require a single one-time purchase of hardware and services, which will allow your dealership to depreciate the costs over time. With a hosted solution, your dealership is always paying monthly, and the costs will only grow as you add more phone lines and features. Direct control of the machine hosting the PBX installation. Local direct connectivity with the gateway for traditional lines. Direct access to ERP applications, CRM, and Databases that reside within the local network and are not prepared for the Cloud environment. In case Internet connectivity is missing, due to technical problems, the PBX continues to operate by exploiting local backup routes (traditional lines). 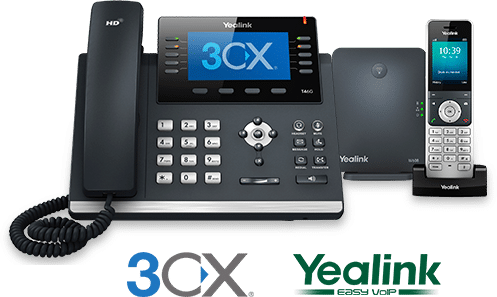 Voice traffic over the data line is reduced to exchange data with the VoIP provider and any remote extensions only.